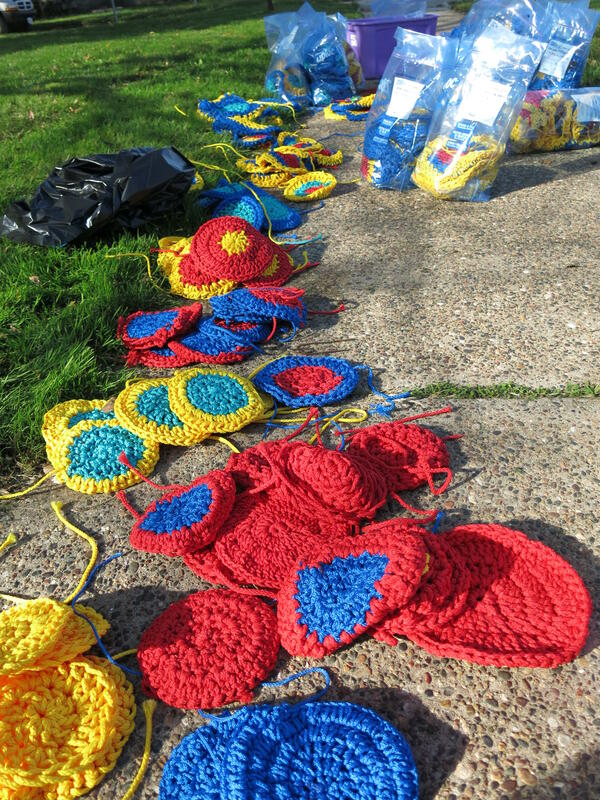 A visiting artist at Augustana College needs more crocheted circles to complete an expanded yarn-bombing project. The college's Teaching Museum of Art received a federal grant to "yarn-bomb" a large tree on campus. WVIK's Michelle O'Neill reports word about the project spread quickly, and it's grown to include a tree at Rock Island's Longfellow Elementary School and nine trees at the Figge Art Museum in Davenport. 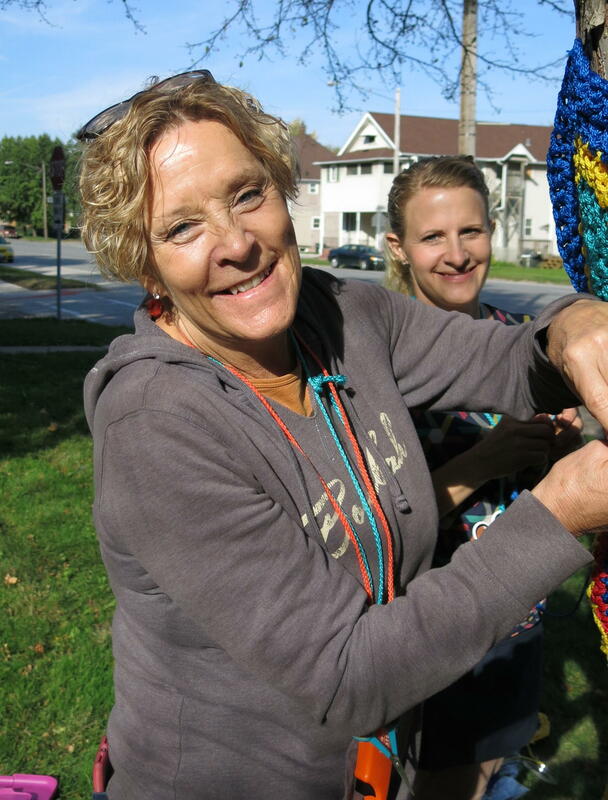 Carol Hummel is a sculptor from Ohio who's one of the founders of the yarn-bombing craze. People all over the world and across the US have helped make her colorful projects. Augustana held workshops and "crochet-ins" for people to make the many circles that Hummel is assembling and putting on the trees. She designed the public art project on a computer, and selected specific colors to use. 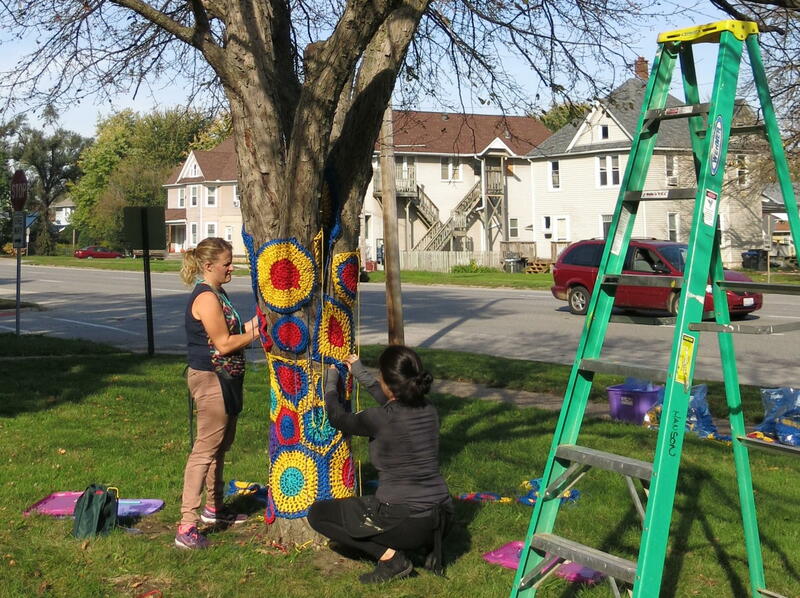 For the next week, Hummel, her daughter, an assistant, and Augustana College students will continue yarn-bombing the trees. But they need more circles. She handed me a bag of supplies to work on before letting me out of her sight. Yarn and crochet hooks are available for people to pick up at Augustana's art museum in Centennial Hall on the Rock Island campus. Those who have already taken kits home should return their completed circles as soon as possible. #YarnbombQC will be unveiled on Sunday, October 29th. More information is HERE.